(David Ross, The Herald, 27th August 2014). (Roger Hutchinson, West Highland Free Press, 3rd October 2014). “Mìle meala-naidheachd ort - tha thu air leabhar ionmholta a chur ri chèile, agus bidh feum – agus fèill-air fad bhliadhnaichean mòra, gun teagamh sam bith. ‘S e goireas prìseal a th’ ann, agus cho tlachdmhor is a ghabhas!” (‘1000 congratulations - you have assembled a precious book and there will be use for it – and desire – for many long years to come, without any doubt at all. It is a precious resource and as delightful as can be!’). Professor Rob Dunbar, Chair of Celtic Languages, Literature, History and Antiquities, University of Edinburgh. (Sue Reston, The Press & Journal, 5th September, 2014). (The Oban Times, 24th September 2014). (Dr Donnie Munro, Musician and Director of Development at Sabhal Mor Ostaig, Isle of Skye). (The Stornoway Gazette, 28 August 2014). (Review in Arts Supplement, The Herald, 11th October 2014). (Sheldon MacInnes, musician, academic and author, Sydney, Cape Breton, Nova Scotia, Canada). 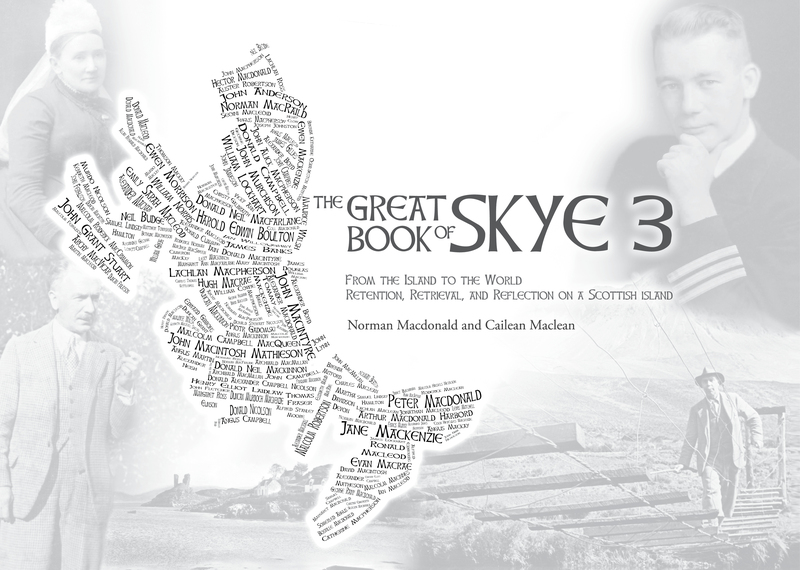 This book is the most comprehensive study ever undertaken of the people of the Isle of Skye. Ranging across the generations, its detailed focus on the past two centuries gives it an enthralling appeal to all interested in the most famous of Scotland’s islands and its quality of being powerfully and mysteriously fascinating across the world today. 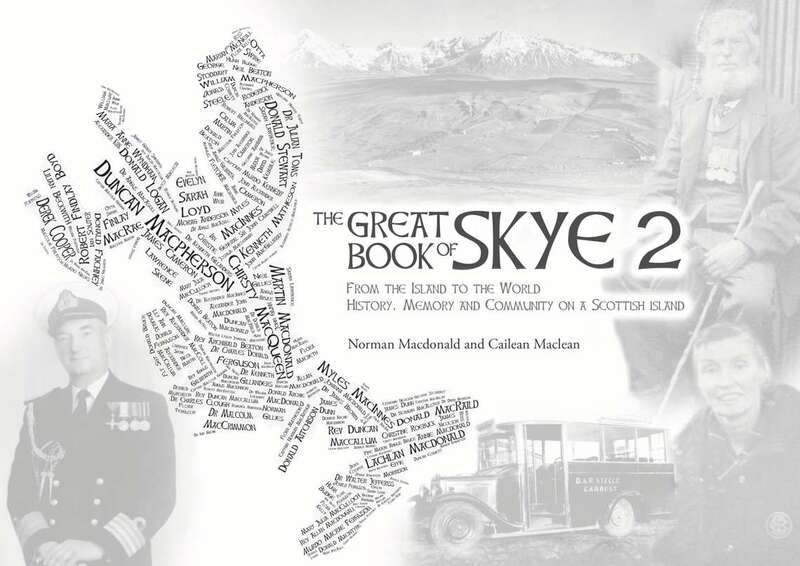 Compiled from local and national resources, oral and written, its medley of themes makes it of interest to the scholar as well as to the person who wishes to find out about the ordinary, and the not so ordinary, people of Skye and their kin. Redolent of the agricultural and fishing community which is Skye’s lifeblood, the book reads in places like a globe-trotting thriller, ensuring its appeal to all. The book was entirely conceived, researched and brought to maturity on Skye. The collaboration which has become The Great Book of Skye was forged between two Gaelic-speaking men who live on the island. 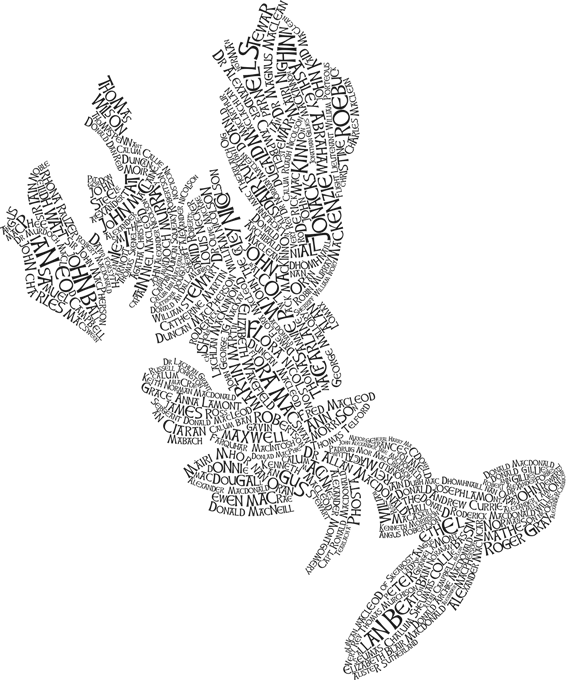 The fusion of their learning, training, research and photographic abilities brings the strands of the island’s past together to present here a richly illustrated and original portrayal of an island which its residents, visitors and lovers care so much about. Professor Norman Macdonald is Eòlaiche Eachdraidh agus Neach Rannsachaidh at Sabhal Mor Ostaig, the Gaelic College on Skye. Born and raised on Skye, he has taught at universities in Scotland and Canada and was for 20 years on the Staff of BBC Scotland. Cailean Maclean was born and brought up in the Outer Hebrides and has been living in Skye for more than 30 years. As lecturer, researcher, publisher, broadcaster and photographer much of his work focuses on Scotland’s Highlands and Islands, though he has also worked in Canada, France, Ireland, England, Spain and Portugal.